Looking for some outdoor fun in Utah during the shut down? I’ve read a few articles with suggestions that include driving down a highway and looking down into the national parks, fun stuff. Here’s some tips on actual fun things you can do. All state parks remain open and ready for business, although a bit crowded. Kodachrome State Park is a photographer’s dream. Along with hiking and biking, it allows for horseback riding and camping. Snow Canyon State Park has a great variety of trails from dunes to slickrock. The trail to three ponds can be done via foot or horseback through the dry washes. I prefer horseback at a full run being chased by a friend in a game of Follow the Leader that goes a bit crazy. (Take your own horse as I don’t think you can do this on a rental horse.) The lava tubes are great fun for some family spelunking, but they are not listed on the official map. The trailhead for them is about 3.5 miles north of the south gate. The last one is the deepest, and of course coolest, and you will need a flashlight. Goblin Valley is a personal favorite. Kids and adults can spend hours climbing over, under, and through the unique rock formations. The campground books up months in advance, but there’s loads of camping just outside the park on BLM land. If you’re looking for a good place to four wheel, Sand Hollow sand dunes, reservoir, and campground are all open. Little Sahara is open but not being patrolled, which can either be very fun or end very bad. All trails on BLM land are open but BLM-maintained campsites are closed. However, I’d go ahead and pitch a tent in campsites not maintained; who’s going to stop you? Don’t want to risk it? Utah’s small towns are desperate for tourists and the hotels welcoming. One of my favorite trails just outside of Goblin Valley is the Little Wild Horse Canyon. 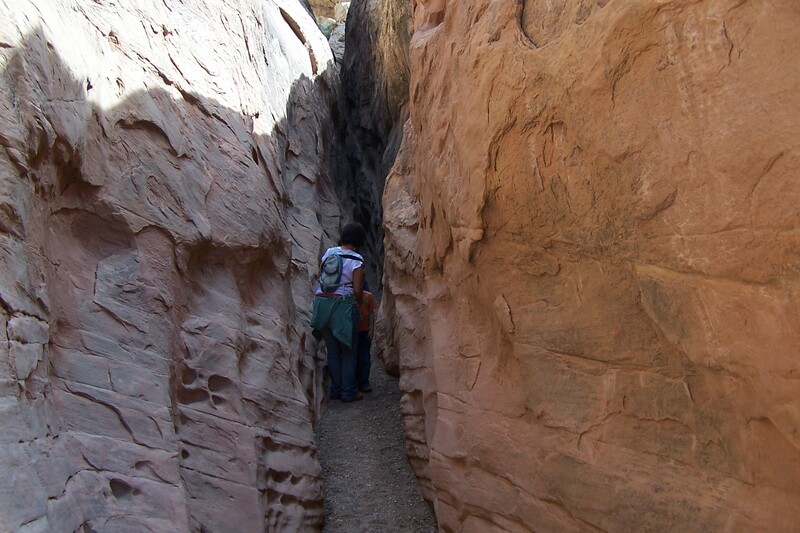 This slot canyon on BLM land is easy to access and spectacular to behold. County trails and campgrounds are also open. Moab’s famous Slickrock trail and Sand Flats recreation area are on county land. This includes bike trails, four wheeler trails, and a campground. You’re not an official Utah mountain biker until you’ve completed the 13-mile loop, or so I’ve been told. State Parks have agreed to accept national park passes during the shutdown.